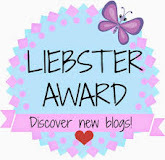 Having thoroughly enjoyed Kimberly Belle's first two novels, The Last Breath and The Ones We Trust, to say I was elated when she asked if I would be interested in previewing an advanced copy of her latest novel is an understatement. 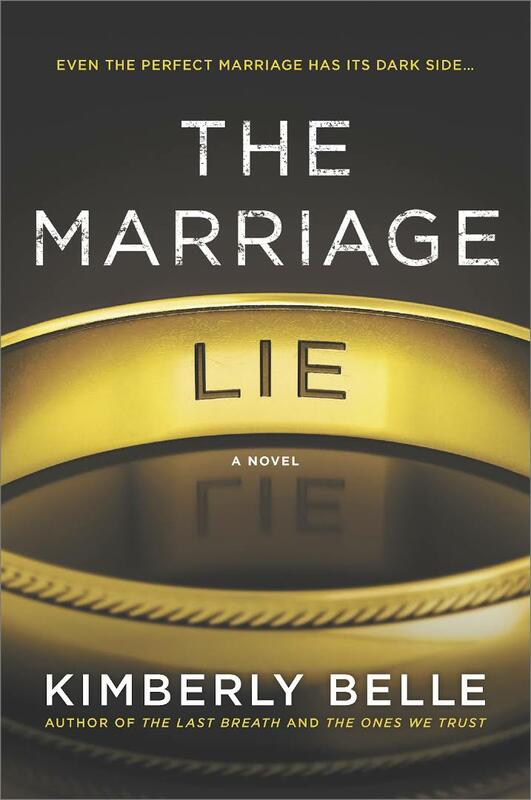 Due out in January 2017, The Marriage Lie, like Belle's first two books, is filled with suspense, excitement, and page-turning twists. Iris, a school psychologist, and Will, a computer scientist, have a fairy-tale marriage. They have recently moved into their dream home in an Atlanta suburb and are now trying for their first child. On the morning of their seven-year wedding anniversary, Will slips a Cartier ring on Iris' finger, a gift that is more than a little out of their budget, before she leaves for work and he heads to the airport to catch a plane to Orlando to attend a conference. 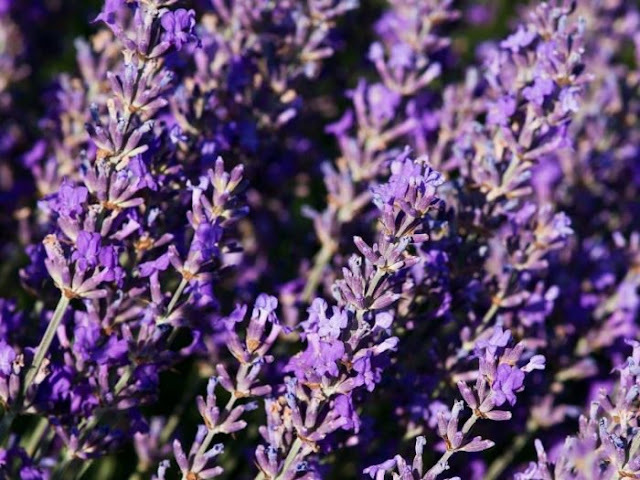 It isn't until later that morning that Iris, along with the rest of the world, hears of a tragic plane crash. A Liberty Air flight to Seattle has crashed in a cornfield; there are no survivors. So why can't she reach Will? He should have landed by now. Then Iris' worst nightmare occurs. The phone call comes from Liberty Air declaring Will as one of the now deceased passengers from that morning's plane crash. However, Will was headed to Orlando, not Seattle! Iris calls Will's assistant and learns there was no conference in Orlando. From here the lies and betrayals are uncovered as Iris struggles to deal with the loss of her husband while getting answers to why he was even on that flight in the first place. One clue after another leads her to a truth that will destroy the memory of her entire marriage and that of the man she loves. As also evident in Belle's other two novels, she is a master at creating unpredictable plots, ones that will keep the reader guessing right up until the final page. But rarely, if ever, is my mouth left agape after the very last line. Fans of thrillers will love this novel and will get lost in the search for answers along with Iris. Every time I thought I had something figured out, something in the plot would contradict my theory. Yet, despite the twists and turns, Belle carefully wraps up all loose ends leaving no holes in the story line. 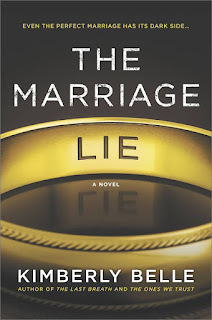 The Marriage Lie is a page-turner and, Iris, like Belle's other protagonists, is a strong character who keeps herself together even under the worst circumstances. I always relate to her heroines and think for this reason, along with Belle's well-written, suspenseful plots, I have not been disappointed in any of her novels. Readers can pre-order the novel now on Amazon or other platforms via Belle's website.